With the LSAT fast approaching, I want to briefly step away from talk of test concepts, and remind everyone of one of the most important, and (sadly) most-overlooked, components of test success: a positive mental outlook. That is, at some point in the next day or two you should feel as though your conceptual preparation is complete, and your focus should begin to shift instead towards preparing yourself mentally for an amazing test day experience. Here are a few keys tips that will help get you mentally ready in the days before the LSAT. Look at the test as an enjoyable event. 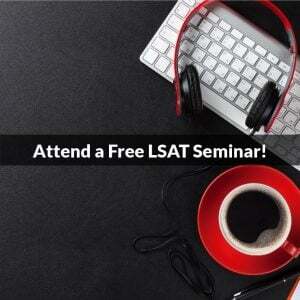 One of the most important steps test takers must take is to view the LSAT as an enjoyable event. Even late in the game, you can still adjust your perspective and begin to treat the exam as a puzzle, or as a challenge, as opposed to thinking of it as a nuisance, or as something to fear. For example, if you find yourself saying, “I just wish the LSAT was over with,” try to turn that into, “I’m ready for this test, and I wish that I could take it tomorrow.” Negative comments, such as “I hate the LSAT,” or “I am not good at standardized tests” are profoundly toxic, and by uttering statements like these you are undermining your confidence and abilities. If you can replace these thoughts with “I enjoy this test,” and “I am good at taking tests like the LSAT,” you will instead create positive energy and raise your expectations for achievement. A great test taker sees a standardized test as a chance to excel, and, because they are eager for the opportunity to showcase their abilities, they do not approach the exam as a burden or an inconvenience. What you believe will occur on test day often does occur. There is no doubt that your expectations and self-confidence have a major impact on your performance. Literally, what you expect to occur on the LSAT often does occur. Of course, testing is not the only field where this axiom is true. In economics, for example, there is the theory of rational expectations, in which economic outcomes depend on what people expect will happen. In medicine, the placebo effect is well-documented. In sports, coaches spend a large amount of training time on mental toughness and fortitude, with the understanding that how an athlete expects to perform will influence the outcome. This “self-fulfilling prophecy” principle should not be a surprise because how you think about things influences the actions you take. Students who expect to perform well on the LSAT make different decisions than those who fear the test or expect to perform poorly. Visualize yourself attaining your target score. Visualizing a positive testing experience is a key component to success on test day. Many professional athletes report that they spend the moments before their game visualizing key plays and eventual victory. Famous actors tend to visualize perfect performances and even future award shows. And some of the most successful people in history attribute their outstanding accomplishments to visualizing them ahead of time. 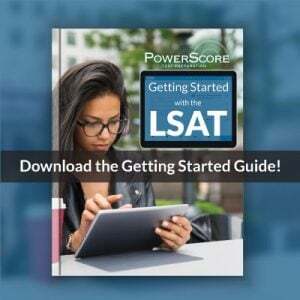 Henry David Thoreau, a famous American writer, once said “The secret of achievement is to hold a picture of a successful outcome in mind.” The same is true for your performance on the LSAT. 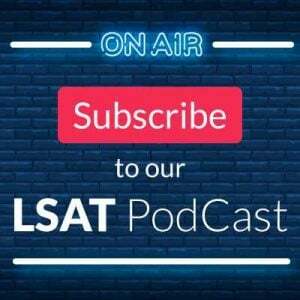 Prior to test day, imagine yourself taking the LSAT and knowing how to solve every question, correctly applying the strategies and techniques you have learned, and avoiding the answer choice traps that appeal to less savvy test takers. Visualize yourself finishing each section before time is called, feeling confident in your responses and in your abilities. Think of what it would feel like to receive a 170, 175, or 180! Finally, imagine telling your parents, teachers, and friends about your achievement. It may seem silly at first, but visualization is a time-tested practice utilized by the most successful people in the world, and it should feature prominently into your pre-LSAT routine. As you can see, there is much more to success on the LSAT than just deconstructing argumentation, or knowing how to setup Grouping Games. These concepts are fundamentally important, certainly, but you CANNOT achieve your full potential unless you complement your conceptual knowledge with the proper mental perspective. So spend some time in the days before the LSAT focusing on your attitude—the confidence and positivity that generates will be hugely beneficial come test day. If you would like to learn more about the ideal test-taking mindset, as well as strategies to cope with test-day stress, we recommend watching the recording below of a recent Test Mentality webinar that we hosted. During the session we talked extensively about test pressure, test anxiety, and how to control that anxiety and pressure. Our goal is to put you in the right frame of mind to go out and destroy the upcoming LSAT, and to give you some tools to handle the pressure should you run into any problems. If you aren’t taking the LSAT until a later administration, you can still use the advice we offer to help you take practice tests and generally improve your mental approach to the test. LSAT | Test Mentality from PowerScore Test Preparation on Vimeo. Photo: “Positive thought” courtesy of Matthew Donovan.